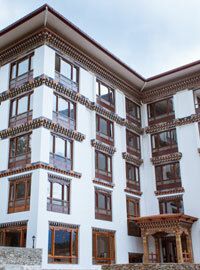 Situated within the heart of the Thimphu valley but just off the main road, Osel is a 35 room 4 star property. We are proud to feature among the largest in-class rooms and be among the only few properties within the city limits to still have amazing views, views include the Tashicho Dzong as well as the seated Buddha all of this is in addition to the ever present glorious mountains that adorn all of Bhutan. Beautifully Serviced Hotel with Awesome Rooms, Brilliant Food, and really Great Staff. Just Brilliant. It’s been my third trip to Thimphu. This newly built hotel Osel was a very successful choice. They offered such a beautiful view and nice service. Copyright © 2018 Osel Bhutan. All right reserved.